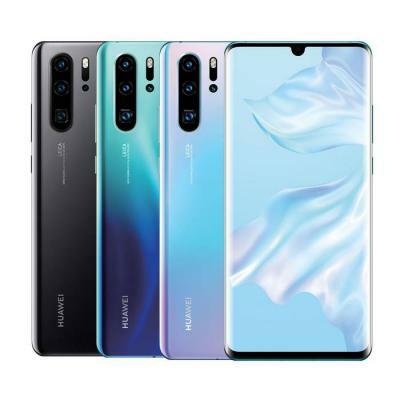 The smartphone screen is always easy to damage when you drop the device. 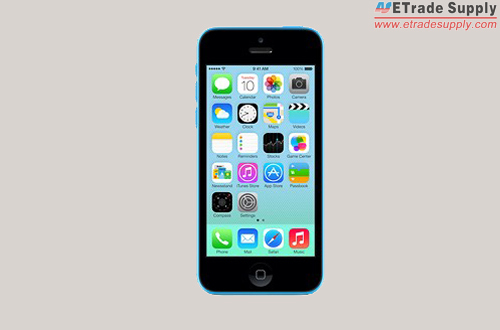 The iPhone 5C screen is no exception. 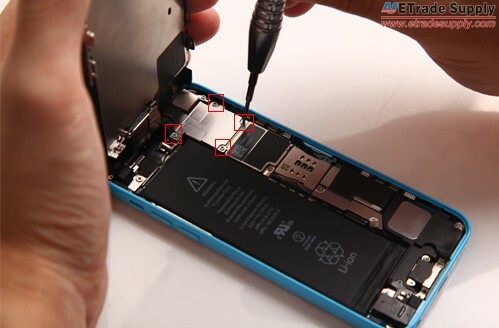 If you crack the iPhone 5C screen because of personal factors, Apple’s warranty may not cover it, which means it will be not cheap to fix it in the Apple store. 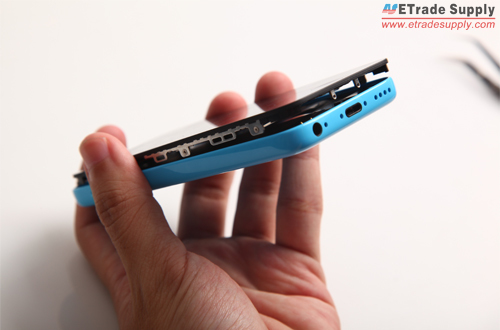 Fortunately, it’s not extremely tough to replace the damaged iPhone 5C screen yourself. 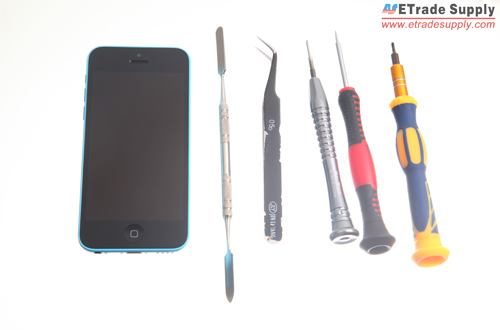 You can follow our iPhone 5C cracked screen repair tutorial step by step to fix the screen on your device. Please be noted the DIY repair will void your iPhone 5C warranty. 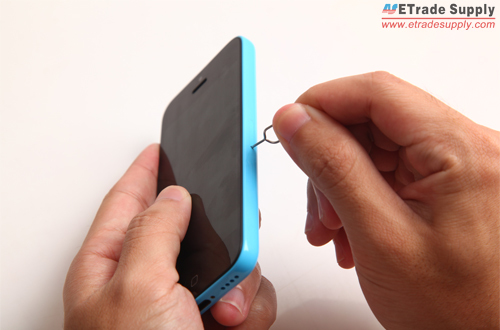 Turn off the iPhone 5C and use eject pin to take out the SIM card tray. Undo 2 bottom screws next to the dock connector with Pentalobe screwdrivers. 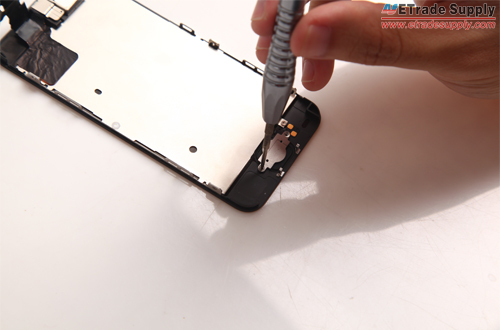 Lift up the LCD screen assembly with the help of the spudger tool. Use small Phillip screwdrivers to release 4 screws to remove the metal plate used to cover the LCD assembly connectors. 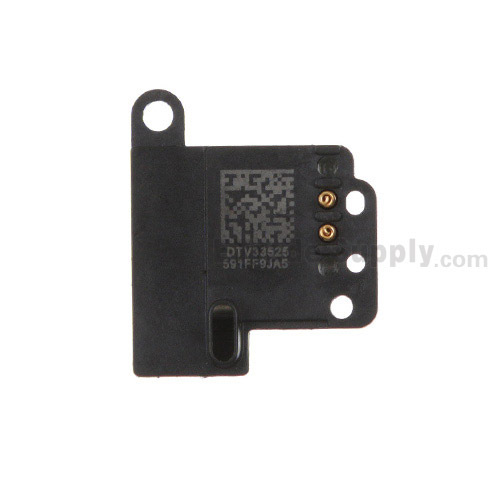 Release 3 connectors to separate the LCD display assembly from the iPhone 5C rear housing with spudger tool. 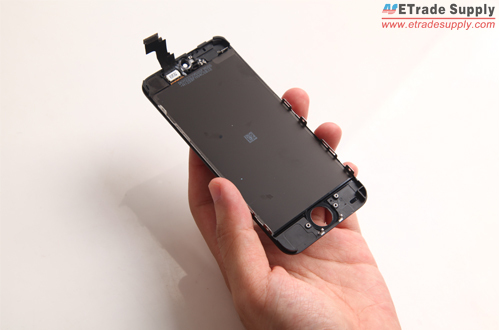 Then the LCD assembly is free. Release 2 screws on the metal shield to remove the ear speaker. 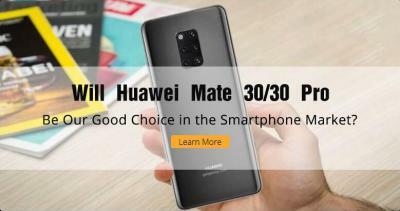 Remove the sensor cable with the front facing camera. Release 6 screws on the LCD heat shield to remove it. 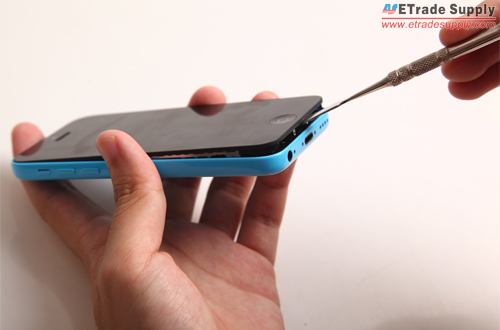 Get a new iPhone 5C replacement screen and install the LCD heat shield to the new screen, and then fasten it with 6 screws. 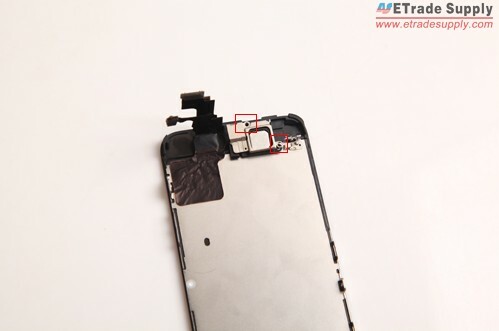 Put back the sensor cable with front camera back and the ear speaker with its metal shield to the LCD display assembly. 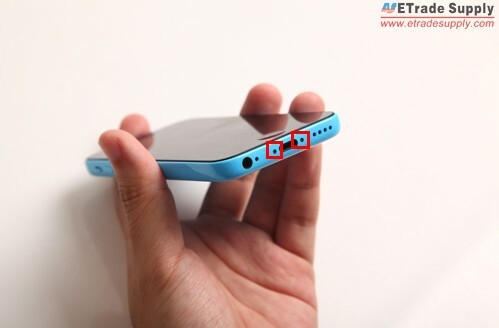 Install the home button and the metal shield, and secure it with 2 screws. Buckle 3 connectors to the motherboard and fasten the metal shield with 4 screws. 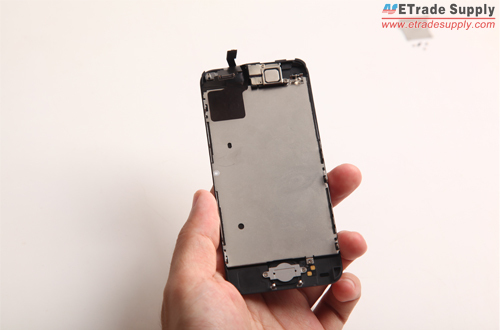 Press down the iPhone 5C LCD assembly make sure all the clips are in place. 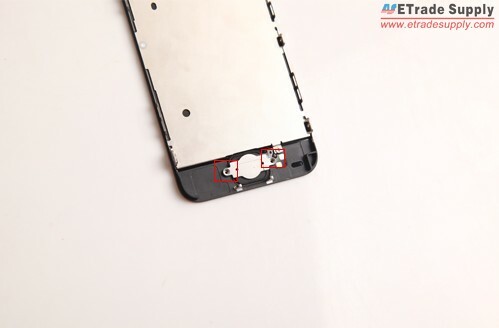 Install 2 bottom screws to fasten the LCD assembly and rear housing. 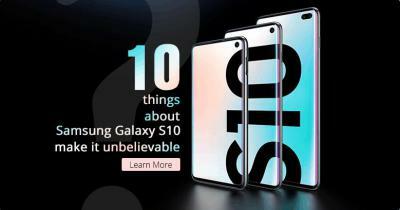 Insert the SIM card tray and power the device on to make sure it works as normal. i replaced the screen and I have lines going across the screen and home button is not working? I just followed all the steps. Took me a total of about forty five minutes and my daughters iPhone 5c works like a charm. She dropped it on the ground a shattered the screen after about four months of use. Worked for about three weeks then the led made screen go black, could still hear but no screen to see functions. Now she’s happy again. Did all the steps and it was quite a bit of work. several hours. Now that I powered the screen, I am not getting the apple logo.